So let's take a moment and assume your life is too easy, and you want to punish yourself. But how?! Here's a way, let's use the ASA for sites-2-site VPN. Even better, the spoke sites have be able to have dynamic IPs, and also need connectivity to other spokes. Also, IKEv2. Just because. Everyone ready?! I know I am. Honestly, it's actually incredibly easy. If you're not familiar with the ASA's ability to form dynamic L2L tunnels this post might be an eye opener. 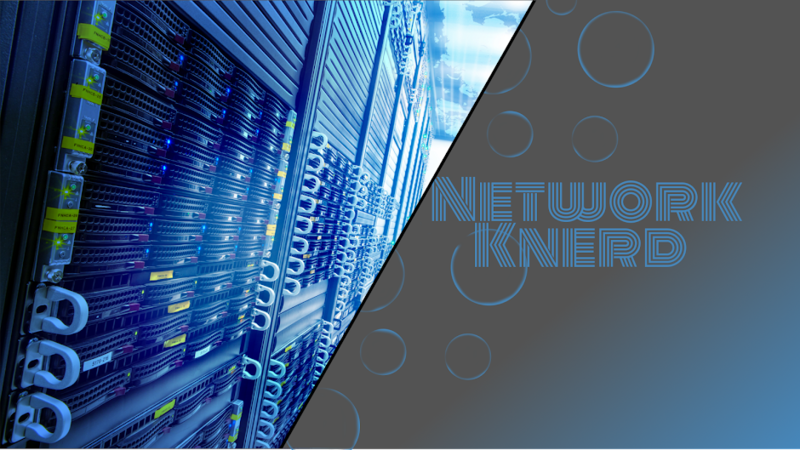 The tricky part is getting spoke to spoke connectivity in a reasonable fashion. However, we'll cross that bridge when we come to it. Let's look at the amazingly complex and overwhelming topology we'll be working with today. Give yourself a few minutes to study all the minute details. Alright, let's get the hub configured. Luckily this is actually really easy. That's about it for the crypto. The tunnel-group name has to be DefaultL2LGroup. One thing of particular note that I do not care for, with this model any dynamic tunnel peers have to share the same PSK. You'll also take notice I didn't specify any interesting traffic, nor did I set any peers. I also really like using reverse-route to inject static routes into the RIB, if you're going to do that on the Hub just keep in mind you have to do this under the dynamic map. 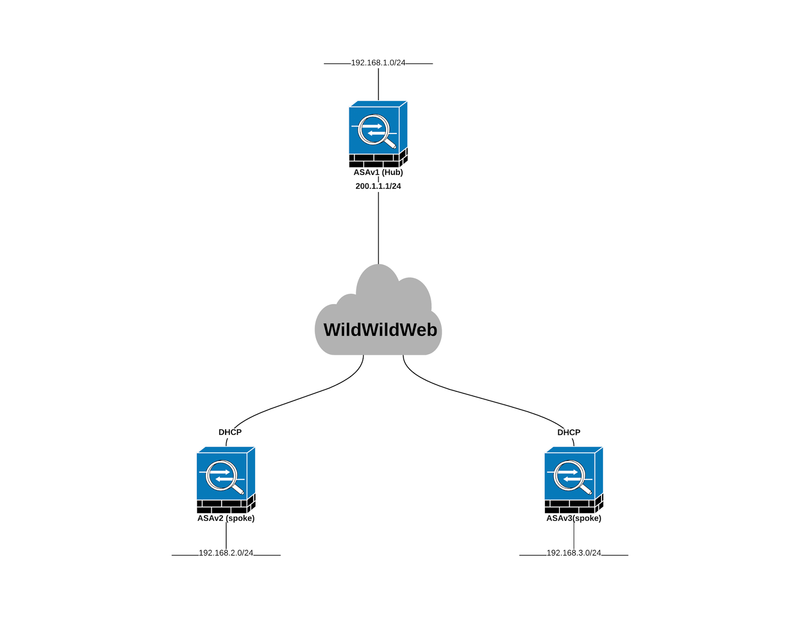 Now on the Hub, let's setup our nat exempt which will look a little different than it does on spoke ASAs. So pretty basic, we're just using a single object-group with our subnets included. Then in the actual NAT configuration we're saying the internal nameif is "any". This is because as traffic transits the hub from spoke-2-spoke, we want this policy to pick that up along with traffic from the Hub's inside to Spokes. Alternatively, you could have separate NAT statements. One for (INSIDE,OUTSIDE) and another for (OUTSIDE,OUTSIDE). The later of which being for spoke-2-spoke communication. Alright! Moving along, the config on the spokes looks a little something like this. That's right, stock standard L2L VPN tunnel back to the hub. 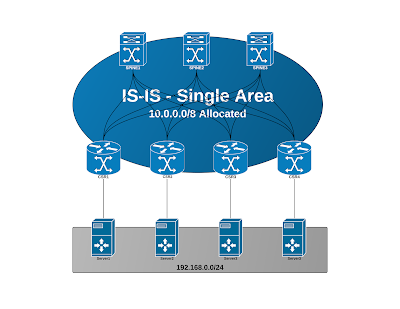 The above config is applied to ASAv2, however the only change in the configuration on ASAv3 is in "object-group network LAN", instead of 192.168.2.0, ASAv3 has 192.168.3.0. For our interesting traffic we're saying anything from our local subnet going to 192.168.0.0/16. This is pretty important, in order to have consistent and mostly reliable communication between spokes, we need the SA formed with the hub to also cover traffic to other spokes. I demonstrated why in my video below. The quick and dirty answer is, the Hub doesn't build tunnels outbound. Just by design, it's responder only within the DefaultL2LGroup tunnel. So while ASAv2 will build it's SA for S2>>S3 to the Hub, the Hub can't actually build the second half of that connection. Leaving you seeing a single SA for 192.168.2.0>>192.168.3.0 with the peer being ASAv2. The hub can receive that traffic, but will be unable to build the new SA out to S3 to actually forward it along. Again though, this is a non-issue if your Spokes are building tunnels where the destination covers all remote spoke subnets. Well I could ramble on a bit longer, but that's the jist of it boys and girls. Linking the video below. Again, none of this is too difficult, there's just a lot of moving pieces. Sadly, many of those pieces are on the Systems side. So buckle up! In this first part, we're going to kick out all the server side stuff that makes web filtering as transparent and effective as possible. I know, I know "But JJoooooonnnnnnnn, this is a networking blog!! I don't like doing systems work!!" I don't like it anymore than you. That said, it's important to know all these things so you can accurately make demands of your Server team! Also, if you want a working lab or POC, you'll have to do this stuff anyway. That said, I'm not a fan of text only guides for Windows. They just don't translate well, AND I loathe taking a million screen shots. So, I'll outline the general tasks below and then link to my YouTube video for this 1st part. URL to WSA in Window's "Trusted Sites"
Trusted Sites set to "Automatic Logon with Current Username and Password"
Can be done with GP, login script, or manually. And whatever access policies based on users/groups. 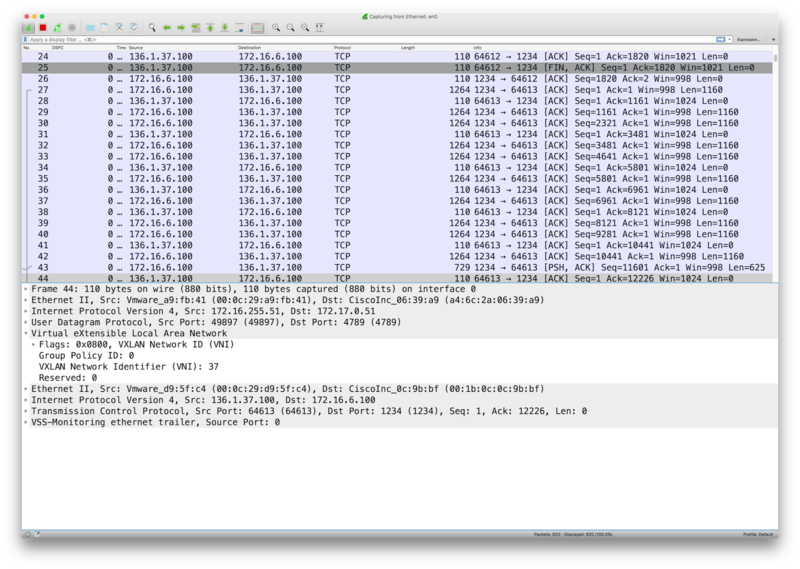 WCCP configured on router/firewall to redirect http/https traffic to WSA. So first off, I recently had a change of heart. While I still love Service Provider, I'm continually being pulled in for Security work. So, I've decided to stop resisting and follow the current. That said, CCIE Security (both v4 and v5) have some heavy demands. While my home server has plenty of RAM (96GB) and CPU... I ran out of disk space really fast. So naturally, I ordered some new 1TB drives to help out, but does that mean I should stop studying until the drives arrive?? No. My workstation upstairs (server is in the garage) has 32GB of RAM, plenty of spare disk space... but how to get my VMs to appear on the same VLANs as VMs running downstairs in the garage. Let's look at the problem really quick. So, essentially I need to get VM traffic from my host machine, over a wireless bridge, through my 5506, past my lab switch (c4948). There's a couple different ways to do this, but I kept gravitating towards VXLAN. My initial thought was to use a vswitch like vEOS to get the job done. After some light testing, I found that while it did pass traffic the performance was just absolutely awful. I need these VMs to be able to access web services, pull up GUIs from WSA, etc. So vEOS was out the window. Next up was CSR1000v. This guy would probably work... but I was out of demo licenses, and the unlicensed CSR1Kv is limited to 100kb/s. So that's a hard nope. Then it dawned on me... what about Open vSwitch? Granted, it's an openflow switch and without a controller would need some love, BUT the flows I'd need to get my lab working wouldn't be too complicated. So I gave it a go, here's the high level topology. 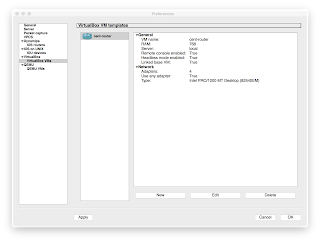 Essentially on the firewall I just needed to add a rule permitting the eth0 interface for ovs-vtep1 to send udp/4789 to ovs-vtep2's eth0 interface. Additionally, I only needed (2) segments, so instead of working with VLANs I just allocated 2 physically interfaces to each OVS server (Ubuntu 16.04 w/ 1GB of RAM). Then end result was very impressive. I won't go in depth for installing open vswitch in Ubuntu, since it's in the repositories. However, let's look at the config to get my OVS setup up and running. I have (2) VLANs I'm concerned about, VL37 and VL36. Again, OVS isn't doing any tagging (leaving that to vsphere) but I decided to use the VLAN numbers as my vxlan VNIs to keep things simple. So, I'll share the config below then we can break it down. Alright, so what just happened?! Fairly straight forward actually. The (1)st thing I did was bring up eth1 and eth2 interfaces, these are the ports facing my VMs on vtep2 and on vtep1 they're connecting to vsphere on two different port groups where they get their vlan tags. (2)nd, I created my ovs bridge "BR1" with "ovs-vsctl add-br BR1". 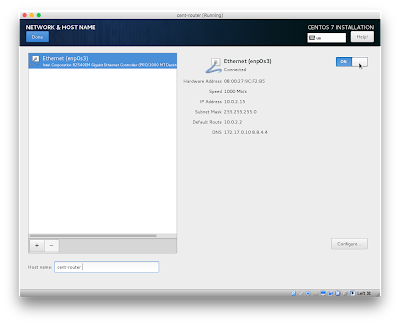 (3)rd, I added my ethernet interfaces and created/added a VXLAN interface called "vtep" to the bridge. Ofport_request, I'm specifying the openflow port number. This will be handy in the next step when I define my flows. 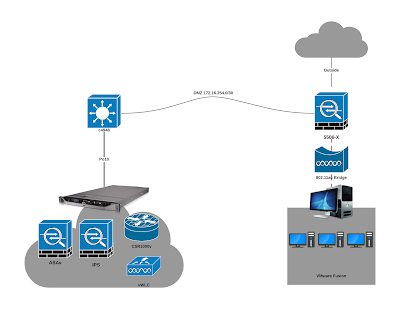 So I mapped Eth1 to ofport 1, Eth2 to ofport2, and the vxlan interface to ofport 10. Easy enough right? So here's where you can get into trouble with OVS if you're not familiar with it. VXLAN doesn't define a control plane protocol, so each vendor does things a little differently. Cisco for example has largely been leveraging multicast for unknown unicast and broadcast traffic between vteps (there is support for BGP to exchange this information now). 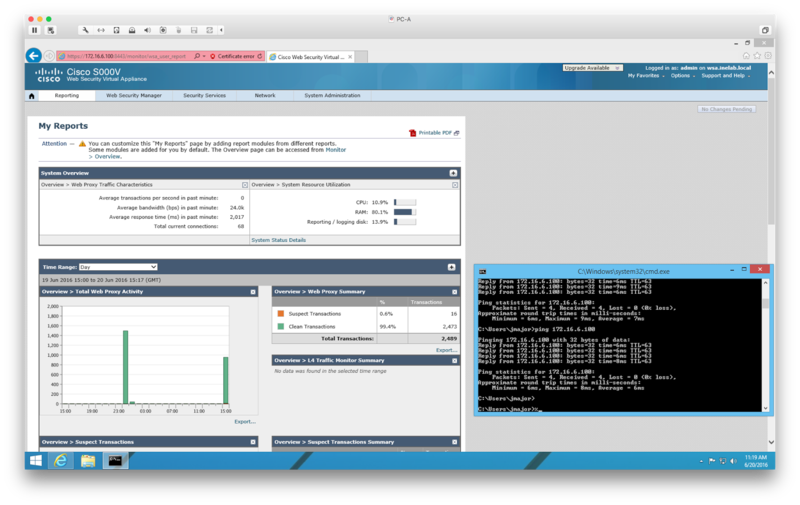 Open vSwitch, being a switch designed to work with openflow, doesn't have this functionality. You have to specifically tell it how to forward unicast frames, and ARP traffic. If you just let it forward anything, you'll quickly have a bridging loop. Especially if you try to add more than (2) VTEPs. So that said, we need a couple flows defined on each OVS. We need to tell OVS how to forward unicast traffic for local and remote devices, AND we need to tell it how to handle ARP traffic. So I have my flows defined in a text file on each server, and can load them in with a single command. Let's take a quick look then break it down. First time I saw flow entries, I was hot in the face (angry). The above can look a little daunting at first, but if we take a minute to break it down it's not that bad. So, notice the first three lines of "wsa_lab.txt". Remember above where I specified which openflow ports Eth1 and Eth2 were mapped to? This is where that starts becoming important. The first line I'm saying "traffic coming in ofport 1 needs to get a tunnel id (vxlan vni) of 37. Then, after adding that id, please forward the traffic to table 1." The same logic applies for the second line, when traffic comes in ofport 2 (eth2), add tunnel id 36 and then continue processing traffic in table 1. The third rule is just a catch all for table 0, resubmitting to table 1. Now, in table 1 we're doing some interesting stuff. 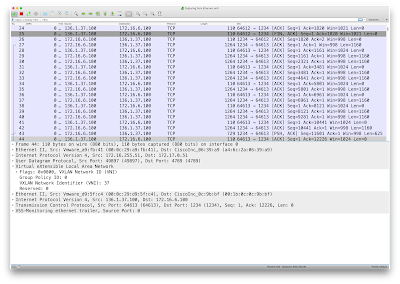 First I'm mapping where to forward traffic based on destination mac addresses. When the output is :1 or :2, those are my local ports eth1 and eth2. If the output is :10, remember from above that's the vxlan interface we named "vtep". In addition to mapping unicast traffic based on dest. mac address, we also need to map ARP traffic, which you'll see done above. If the arp req is for a node connected locally, forward out either port 1 or 2 depending on the dst IP. 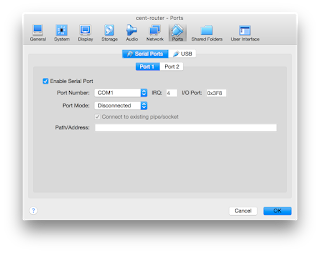 If for a remote node, forward out port 10. Notice also, for better segmentation, these flow entries are also matching on tun_id (vxlan vni). Lastly, if the traffic doesn't match any of my flow rules, drop it "table=1,priority=100,action=drop". Finally, we actually load these flows into the vswitch with "ovs-ofctl add-flows BR1 wsa_lab.txt". I can verify that with "ovs-ofctl dump-flows BR1". From the above output, you can see each flow's number of packets matched/forwarded. 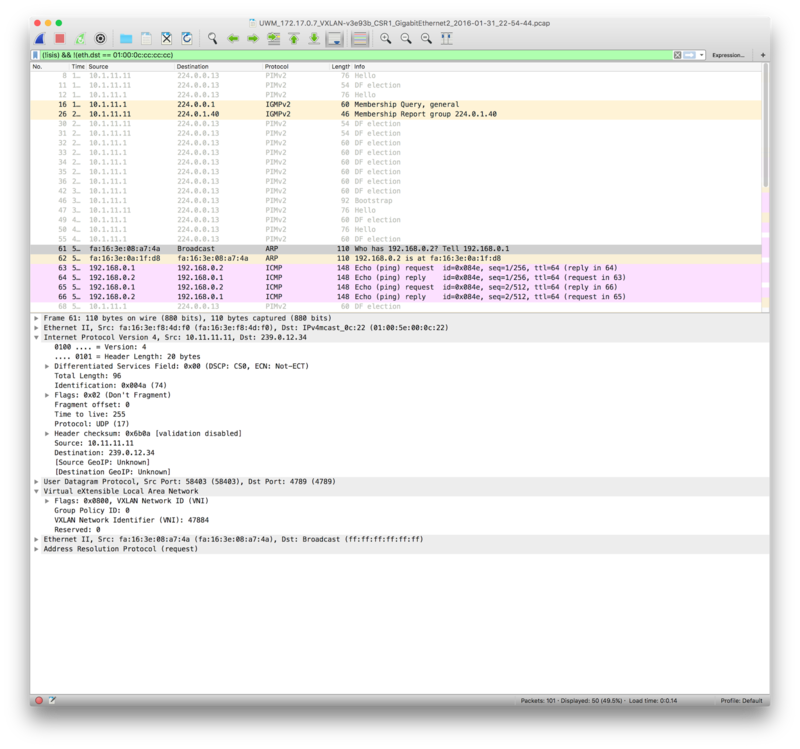 Also note when you dump-flows, the tun_id is represented in hex format. A final note, MTU can be a killer if your network (like mine) can't accommodate the overhead. So, I lowered the MTU in my windows VM to 1200 bytes. I could probably get away with up to 1420 bytes, but I'm getting fantastic performance with 1200, so I'll probably just leave it as is. So what's the final result? So, as these things go, I found a way better way to do this. 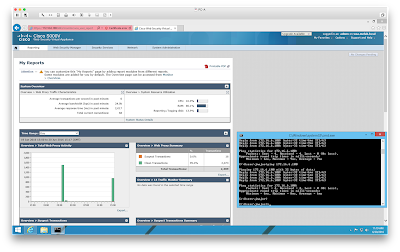 Basically, if I enable spanning-tree I can drastically decrease the amount of config needed to get this working. Routing authentication - Thinking outside the box. So it's been awhile since my last post, and while I could just blame work, really I hit a bit of a dry spell. Then I saw a topic show up on CLN that sparked my imagination. The topic was simple enough, which authentication method is better (specifically for EIGRP) MD5 or SHA? Now I can feel your twitchy fingers from here. You want to comment in all caps, bold letters "SHA IS BETTER!!!!" Calm down. Deep breathes. I felt the exact same way, until I read the question a little more thoroughly. Well, while the short answer is yes 'SHA is better than MD5', however you can't use rotating keys (yet) with SHA. Yeah, SHA1 is 160-bit hash vs. MD5's 128-bit (EIGRP named mode actually supports sha256). And let's not forget, even with just SHA1, there's no example of a successful collision attack that I'm aware of. So, definitely SHA is better right? If you want to use rotating keys with a keyring, as of this post you still need to use MD5. Bummer. This got me thinking though, why can't we do better than sha256. In a non-realistic, totally lab only scenario, how could we make EIGRP traffic basically bulletproof? Don't read beyond this line, test your creative problem solving skills. If required by a task (real world or lab), how would you improve EIGRP security beyond sha256? Now finally, some verification. I should note, loopback interfaces are 10.x.x.x where 'x' is the router number. So that's it gang! A different, albeit impractical, approach to securing your routing process. I'll probably do a short video on this configuration (if for no other reason than to demo a quick IKEv2 configuration). I'll update this post with that video when I do. 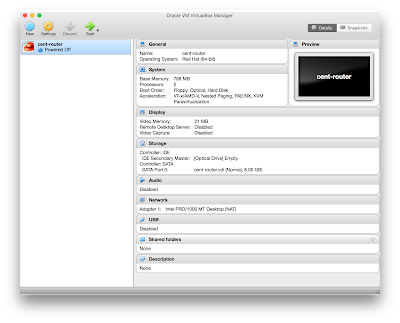 So today I'll be installing quagga in centos, and turning that centos vm into an IOS-like router. After that, the goal is to test said faux Cisco router in GNS3 with some 7200 images. It's actually a pretty cool little concept, even if the source code looks like it hasn't been updated in a couple years. The concept? Take a Linux machine, slap a shell on it similar to Cisco IOS and use said Linux machine as a router. So, let's freaking do it!! I'll be using Centos 7, because I love Red Hat. 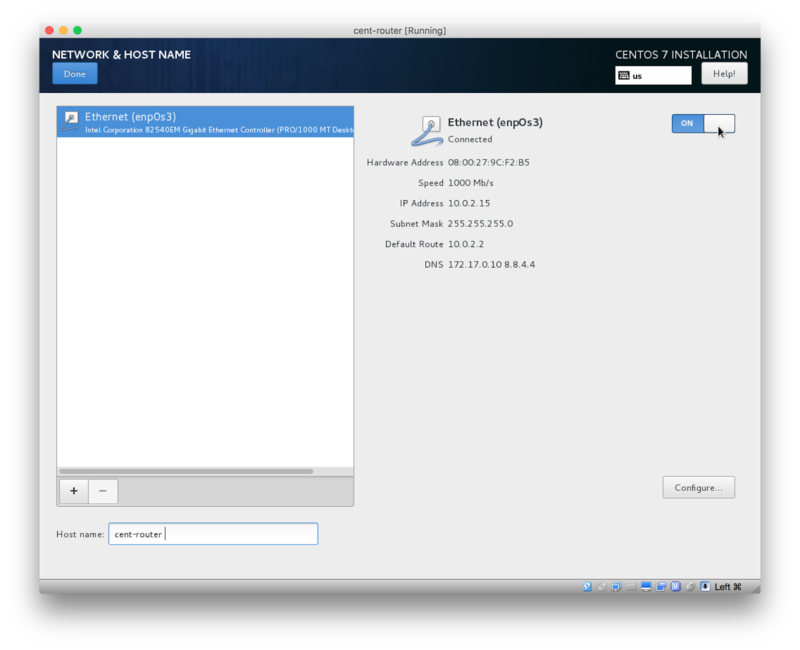 First things first, let's install centos (minimal install here, you can have a GUI if you want one), and update it. I used the basic settings for RHEL 64bit in Virtualbox, disabled the USB and audio controllers, and enabled Serial Port but left it disconnected for now. I bolded the 'enabled serial port' because, that will be important later. Now let's power this sucker on and boot from centos 7 minimal install. 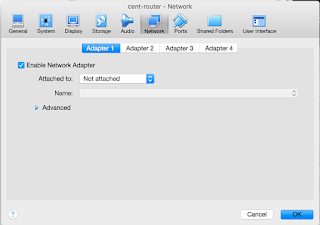 You can pretty much next->next->finish the install, however DO make sure you go into Network & Hostname section to enable your network adapter and set a hostname. Before install Quagga and getting into the configuration, let's update our system and enable console access over the Serial port. GRUB_CMDLINE_LINUX="crashkernel=auto rd.lvm.lv=centos/root rd.lvm.lv=centos/swap rhgb quiet net.ifnames=0 console=ttyS0"
7) Enable Zebra, OSPF, and BGP on boot and start services. 8) Finally, test IOS-like shell. Beautiful!! Now we can shut this bad boy down, make (1) minor tweak and import it into virtualbox as a linked clone. 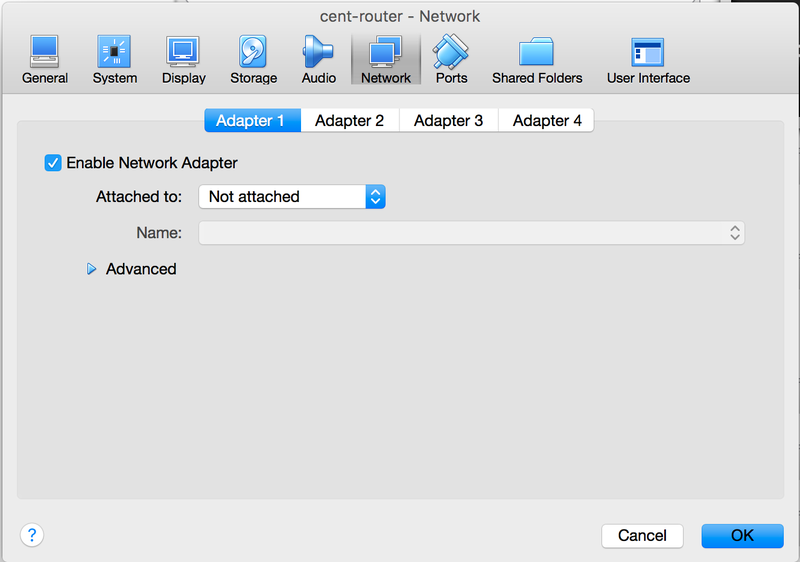 This tweak is just marking network adapter 1 as "Not Attached", since we're relying on GNS3 to build these connections for us. 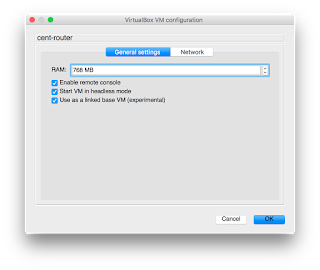 Last but not least, import this VM into GNS3.